I've posted before about lists of child support defaulters being published in America, but the scale of this one caught my eye. 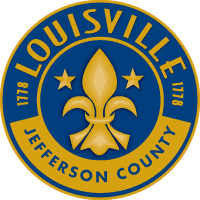 On Sunday the Jefferson County (Kentucky) Attorney’s office will be placing an advert in a local newspaper listing the names of no fewer than 3,995 people who owe between them more than $88 million in child support. The County Attorney does not expect to recover all of that money, but says that similar listings in the last five years have helped to locate more than 4,000 'delinquents' and collect $2.1 million in child support. Not a bad return for the $25,000 cost of the advert. Hmm, interesting. I'd be interested in your opinion on this John, as one who works in this industry so to speak. Perhaps you've given it elsewhere but I'm new to this blog. As a social research scientist my first observation is that if that many people do not pay then there must be an underlying cause for such a wide spread pattern. Humans tend to react to situations in a certain way for a reason. Now, we can all 'assume' it is because they are feckless fathers (mostly) but does this also suggest some form of resistantance / protest? i.e. 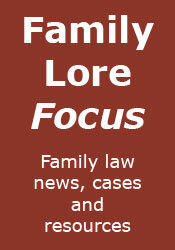 The courts in the Us like here generally favour the mother and do not allow or enforce contact. Ergo, a protest that the father (mostly) refuses to pay. We can and do argue endlessly in the media about how we are going to force these terrible parents to pay up but I rarely see anyone grasp the nettle and push for equal status of the parents and enforce contact / residency where it is clearly desired and appropriate. Link the money to the emotional piece and things might actually work, no? The primary reason for non-payment is, quite simply, that the paying parent does not think of the money as being for the child, but rather for the other parent, who they are unwilling to pay. The idea of linking maintenance and contact is often raised, but the courts quite rightly refuse to do so. The welfare of the child is the primary consideration, not how much (or whether) the absent parent is paying.